One of the big benefits of press status at cabaret performances is that you receive the set list along with other materials in a press kit. When a show includes the familiar and the rare in the way that Rita Gardner’s new show “Try to Remember: A Look Back at Off-Broadway” does, this summary and cheat sheet allows for an overview with pertinent detail to keep the writers and titles straight. And you want to serve the history in writing as well as Gardner does in performance. 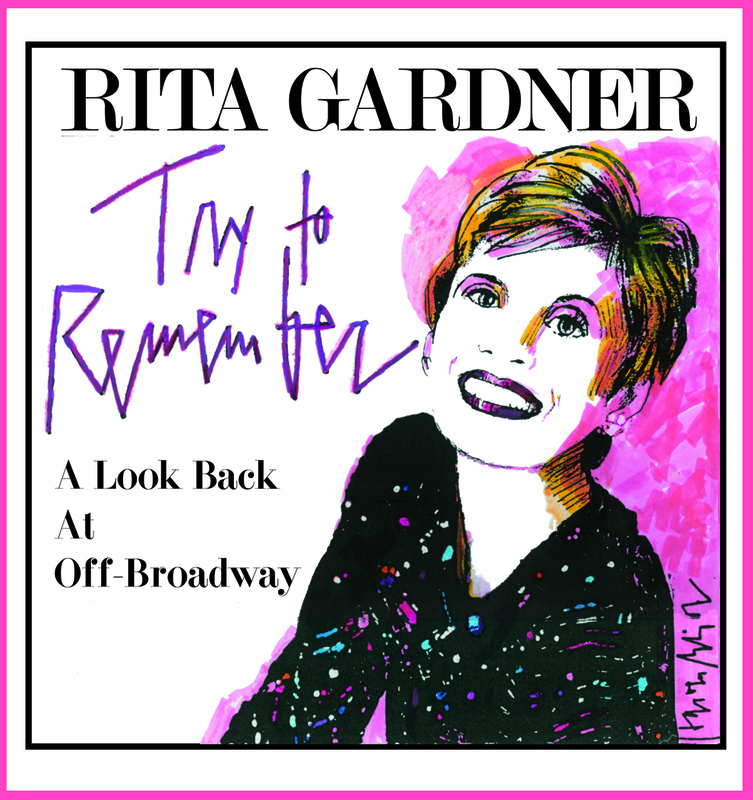 Impish, classy, compelling, commanding Rita Gardner wants us to remember the Off-Broadway of her professional youth, and roots us in her own professional alpha and omega (as the original The Girl) The Fantasticks. From “I Can See It” to “Try to Remember” we are taken on a journey that makes us laugh, cry, cheer, and reflect. Along with musical director Alex Rybeck at the pieno, this is a fabulous cabaret act assembled from a life and a time, evoking mood and memento. As in any good cabaret act, we get stories. Of the people Rita worked with ranging from Estelle Parsons to Charles Nelson Reilly. Of little moments such as Cicely Tyson in a stocking cap and her reason for it that had nothing to do with fashion (go to the show to hear Rita tell the story). Most of all, of course, we receive masterful story telling in song. The haunting “Lazy Afternoon” from the show The Golden Apple. The fabulously funny “It’s You” from Dames at Sea. The tune “I Don’t Remember Christmas” from Starting Here, Starting Now that is new to me but quite familiar to the singers around me who mouth the words to most of the lyrics. The touchstones already mentioned from The Fantasticks, and a lovely new medley that includes pieces from many shows that started Off-Broadway and went on to big stage and screen lives — Grease and Rent and Little Shop of Horrors and A Chorus Line to name a few. The tune that stops the show comes half way through the evening and, not that anyone asked me, could be relocated as a rock ’em sock ’em finale to the whole adventure. Combining personal history and life lessons and maximizing diction and current vocal quality and a boffo acting job — “Carousel” from Jacques Brel is Alive and Well and Living in Paris is a stunning achievement. For that piece alone I would stand and cheer this assemblage.